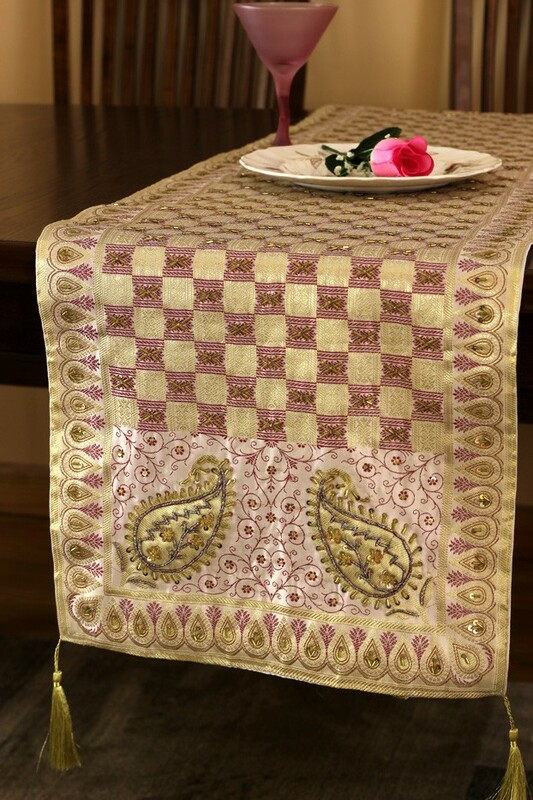 Discover the elegant and sophisticated Luxurious Artistry Table Runner from our exclusive Banarsi Designs collection. 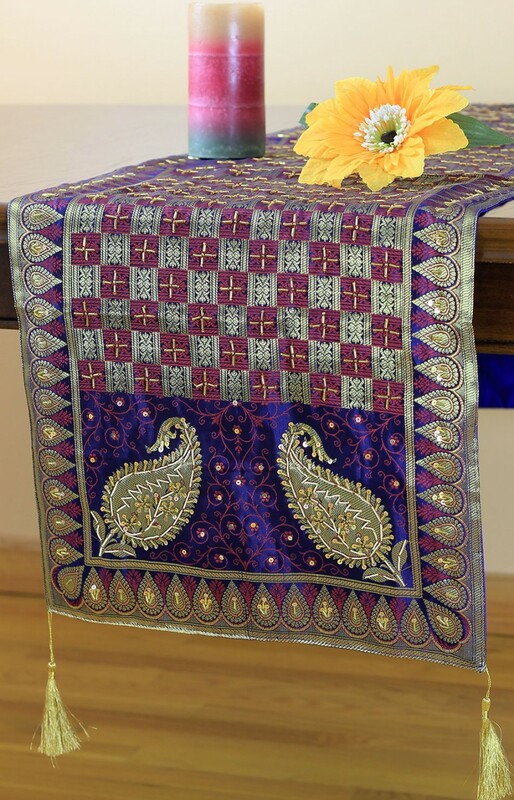 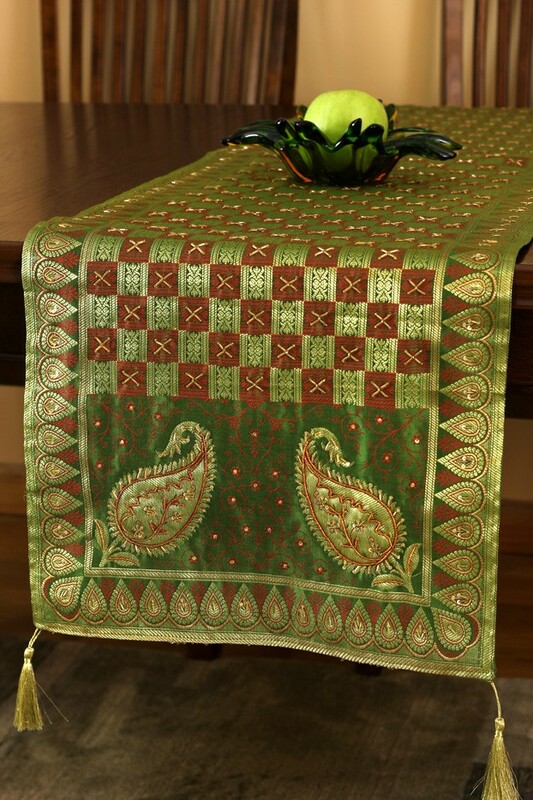 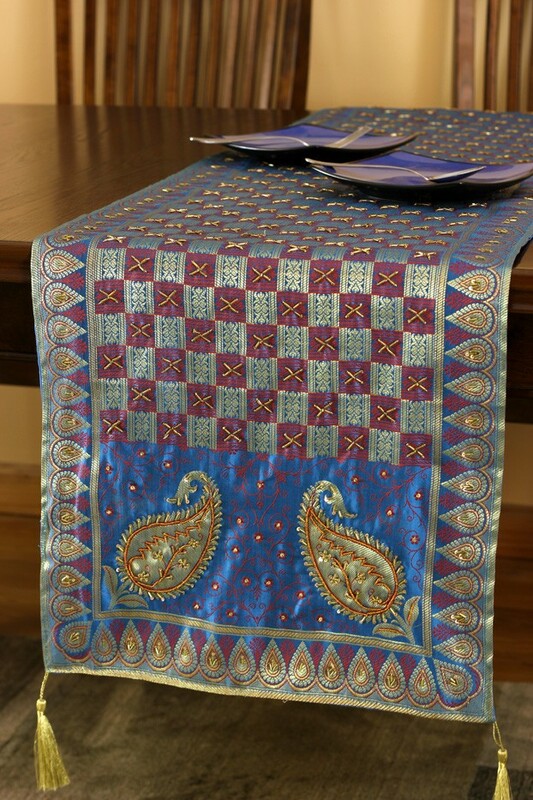 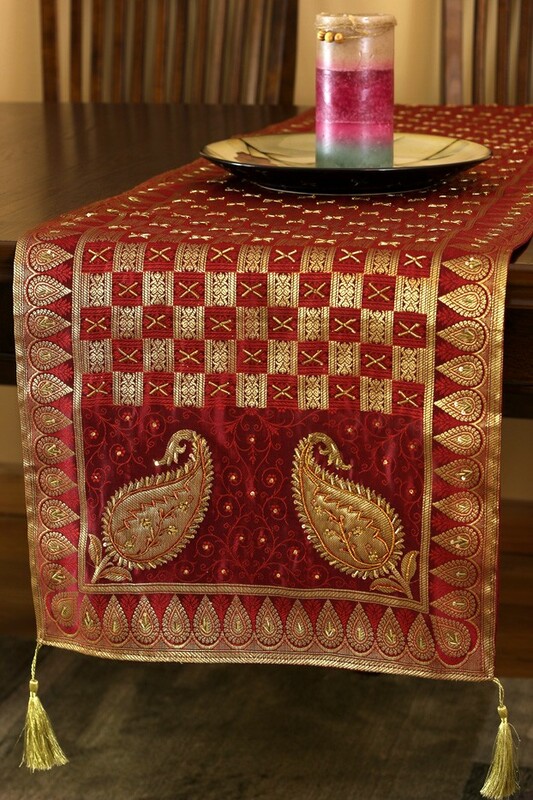 Crafted in India, the Luxurious Artistry table runner is available in 70" x 16" size and multiple color options. 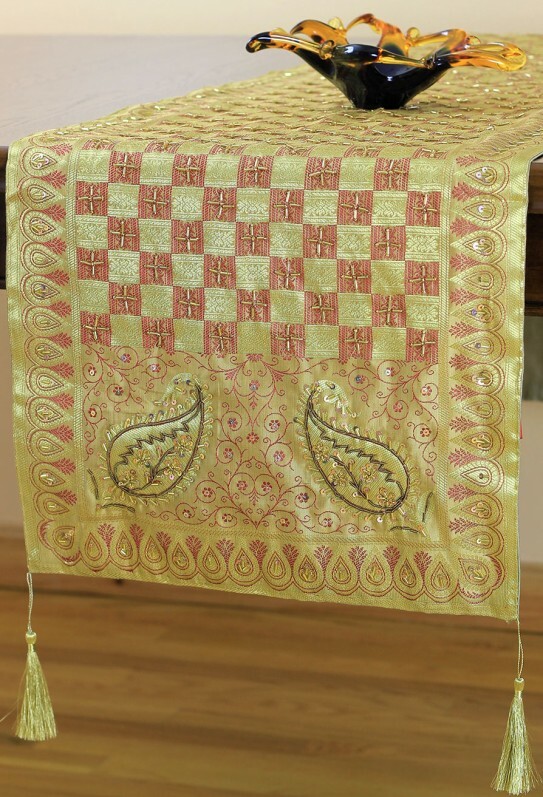 It features a beautiful paisley pattern surrounded by sophisticated hand embroidery and elegant golden tassels.